It was a football match. After 28 minutes, the goal was scored by Brazil. On the last minute the goal was scored by Italy. After the match Neymar Jr gave his shirt to me. I was so happy. I asked “can I have a photo?” Hesaid yes. After we all went to home. I went to sleep. At night I think how to play football. At the next day I went outside with my friends and we played a football match. I scored 3 goals. After one year I played like Neymar Jr. I played in Brazil and I am the best player. 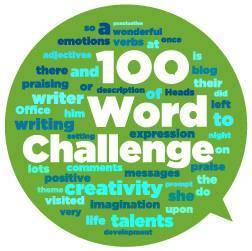 Well done on completing your first 100 Word Challenge story Radek! And this is really excellent. You have written a brilliant story and I’m sure you ARE a brilliant footballer! Well done on a great effort! Hi Radek – Sounds to me like you eat, sleep and dream football. No doubt it’s your favourite hobby! Well done on your great story.